However, there is a fresh trend that’s gaining momentum in kitchens across the country. We’re calling it the “unmatched” look, where upper and lower cabinets contrast each other or the kitchen island. Since the effect relies on color rather than pricey materials, it’s a look that can be more easily adapted to your current décor scheme. And, if your better half’s approach to color is radically different than yours, going the “unmatched” route might just be the key to design harmony. 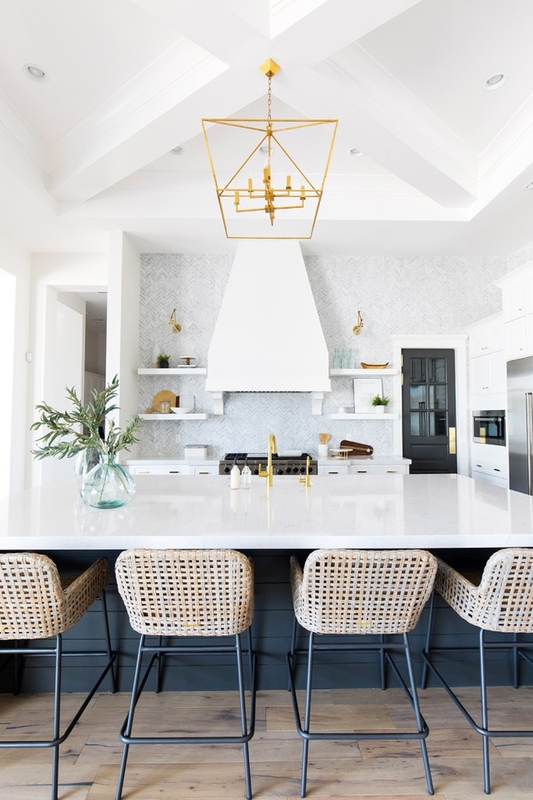 Dawn Terry and Megan Papworth of E. Interiors took a classic blue and white color palette and brought it into 2018 with this kitchen project. Here, a matte dark blue paint color accents the island while white cabinetry brightens up the rest of the space. It’s a pairing that should please everyone, but it’s also a change of pace from the ubiquity of the gray-and-white scheme. 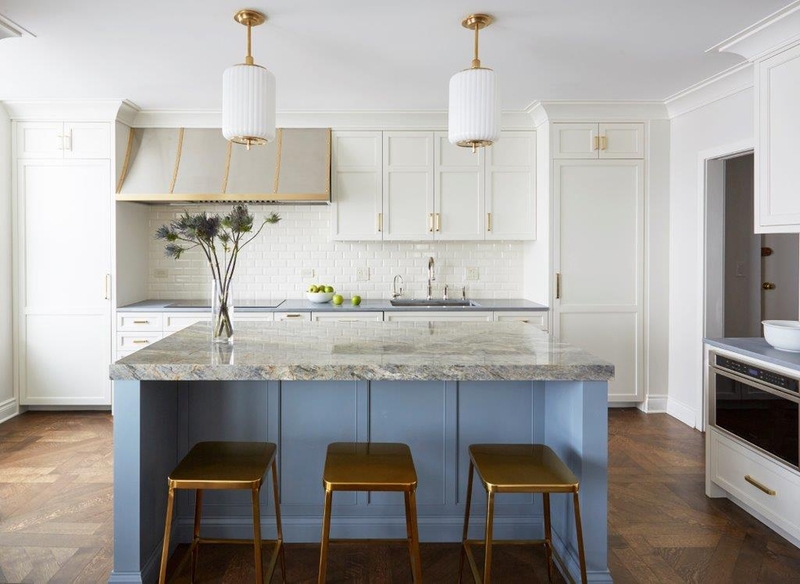 Opting for a lighter blue, like in this design by KitchenLab/Rebekah Zaveloff Interiors, creates a softer contrast that brings a relaxing feel to a busy space. (Not a fan of blue? A sage or seafoam green would have a similar effect.) The less-intense contrast also allows you to pair warm and cool metals within the space without distracting further. 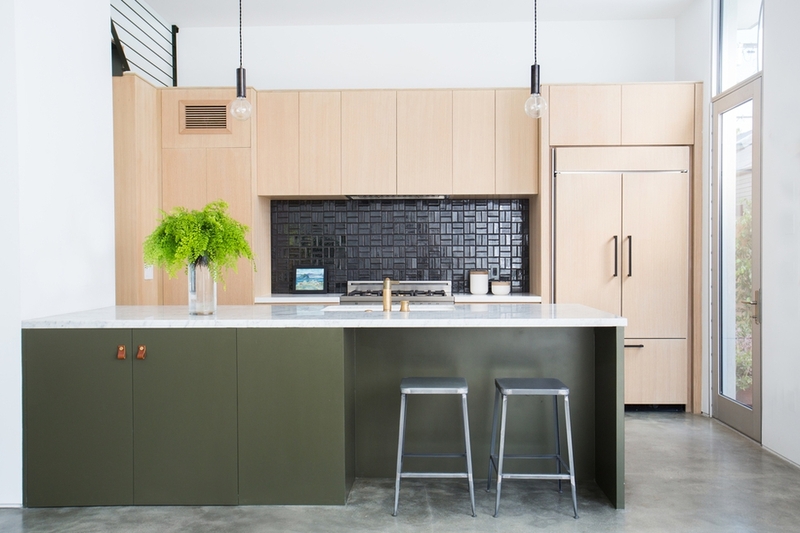 If you’re a fan of natural wood finishes, this kitchen by Casework proves that you can still get in on this trend. Here, the white cabinetry has more of a “blank slate” presence that puts the focus on the interesting grain of the wood island. The leather counter-height stools perfectly complement the wood finish as well. The pairing of white and wood also makes it easy to eventually layer another color into your kitchen. 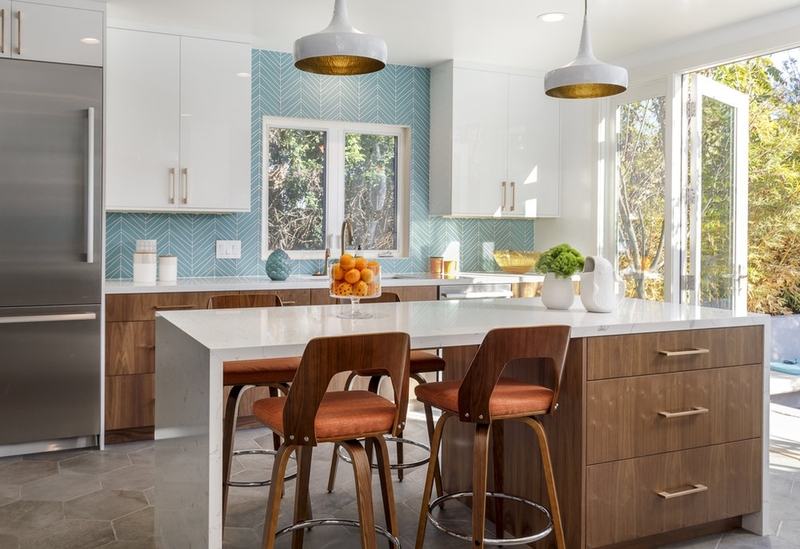 The blue backsplash in this project by Savvy Kitchens adds just enough quirk to the midcentury-inspired home, but the white-and-wood will set off any hue beautifully. 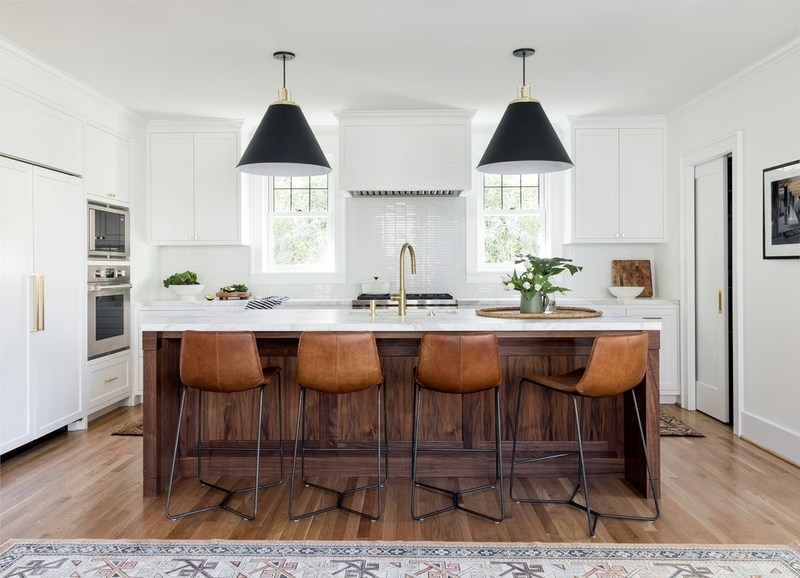 If you’re thinking of a bigger overhaul, Decorist Elite designer Stefani Stein’s Venice project is at the cutting edge of kitchen design. Stefani went in a very contemporary direction with sleek lines, minimal ornamentation and a very unique pairing of light wood and army green. Need some help designing your kitchen? Start a Decorist design project today! Just need help selecting paint colors? Visit our Design Bar for FREE designer advice.